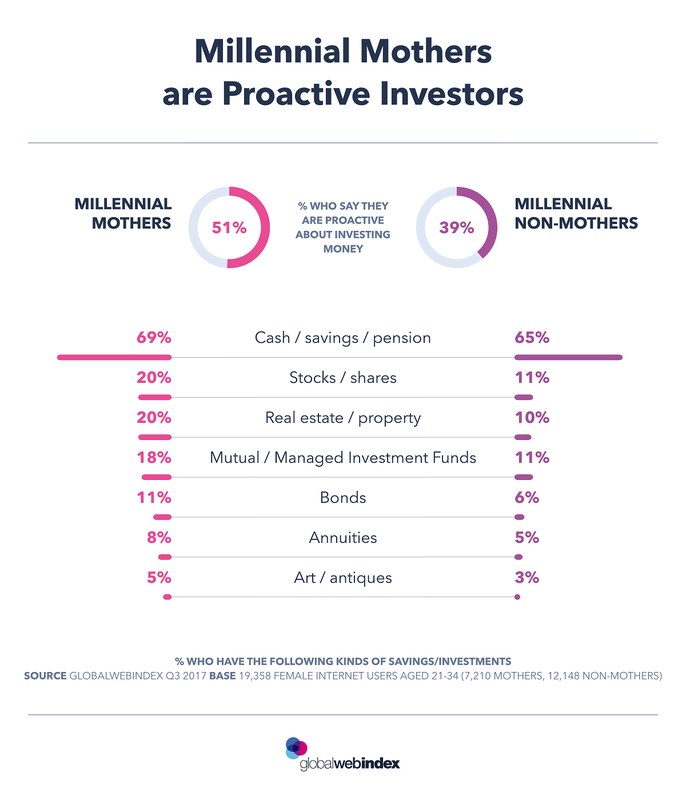 Millennial Mothers Are Proactive Investors #Infographic ~ Visualistan '+g+"
This chart puts a spotlight on Millennial Mothers – mothers aged between 21 and 34. Today, we take a look at their financial habits. 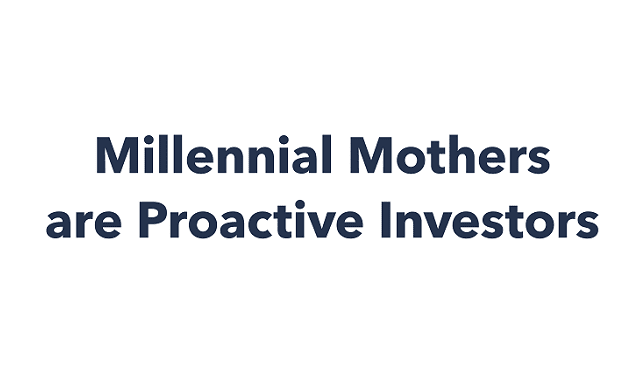 51% of Millennial Mothers say they are proactive about investing money – compared to 44% of Non-Mothers – and they are 15% more likely to say they are interested in personal finance. Looking at investments made bears this out, with Millennial Mothers ahead in all categories. This is especially true for property, and is most pronounced in Asia Pacific, where Mothers are the keenest investors. Having children and taking on more financial responsibility is likely to play a role in this uplift for investing. As they take the initiative with household finances, they can be an effective audience to target for financial products and services. To a degree this is already happening – 3 in 10 Mothers have a short-term loan, and 68% have a credit card, putting them ahead of Non-Mothers in both cases.